Since 1962, Len Corcoran Excavating has developed a reputation for professional excellence, integrity and superior communication and customer service. It was fostered first for residential and farm excavating, later from its expertise in full site servicing, storm water management and site landscaping/grading services. 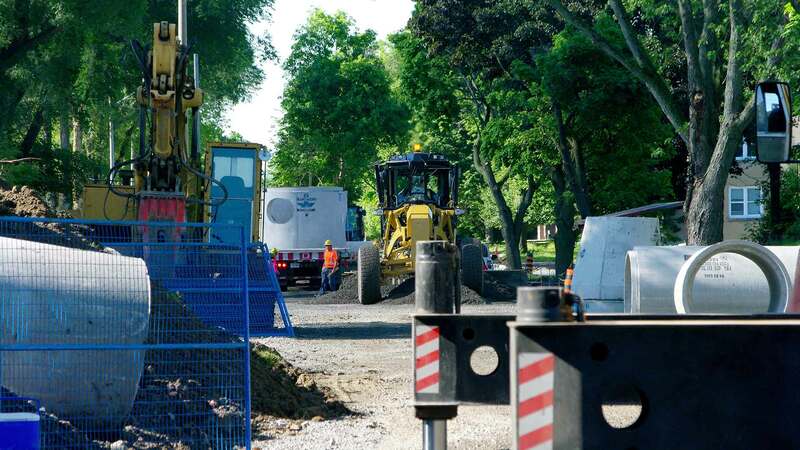 In more recently years, we have become one of the most in-demand firms in Eastern Ontario for our skill and success in large-scale municipal infrastructure reconstruction, particularly those in the downtown core. A focus on municipal infrastructure reconstruction. Experts in commercial landscaping, public parks and recreation spaces. Adaptability, innovation and special expertise. Personalized, responsive and professional. Contact one of our team members today. For more than five decades, Len Corcoran Excavating has prided itself on its ability to communicate effectively, openly and consistently with its existing clients, new clients, future employees, municipal officials, fellow contractors, members of the public and the residents impacted by our work. We believe we go above and beyond to ensure our processes, costing and timelines are well articulated, that we welcome and encourage feedback and dialogue and that our key team members are always accessible and available to address concerns, and offer clarifications when required. Putting people first, being open, honest and operating with clarity and honesty have been the principles under which LCE has operated since its founding in 1962 and will continue to be the way we do business. Click here to learn more.